As CTO of FeedHenry I am delighted with the announcement that Red Hat Inc. will be our new owners. FeedHenry has been focused on easing the pains associated with enterprise mobility with a flexible end-to-end platform built on open standards for client-side and server-side mobile app development. Many of the core building blocks that we use are open source including Linux, Node.js and Apache Cordova. Red Hat is the leading enterprise open source company in the world, and has blazed a trail over the past two decades since the first Linux distribution of that name was launched by Marc Ewing in 1994. On a personal note, my own computing history is one based on early GNU open source software in the 1980s, followed by an enthusiastic adoption of Linux and the web ecosystem. 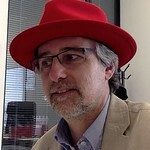 Red Hat has been a pillar of innovation in this shifting world. In terms of culture fit, we are all very excited to become part of an organisation that values engineering talent and market commitment, and that helps nurture many key open source projects, even those with peripheral links back to its core product portfolio. In terms of product fit we are perfectly aligned. We look forward to embracing RHEL and OpenShift as part of our product architecture, and learning from the excellent example of how JBOSS has become a valuable suite of enterprise capabilities for the Java stack. We are already aligned to OpenStack and have deployed versions of our product both in public clouds, and on-premise clouds that are powered by OpenStack. We have ended up today with one of the world’s leading fully integrated end-to-end Mobile Application Platforms (MAPs) for enterprises, a new product category that melds elements of traditional MEAPs (Mobile Enterprise Application Platforms), newer perhaps clumsily labelled MBaaS (Mobile Backend-as-a-Service) and the re-emergence of enterprise API management. A modern MAP is a flexible platform that allows “Fast IT”, the ability for enterprises to develop solutions in days or weeks rather than years, to meet business needs, whilst still satisfying the more traditional “Core IT” requirements for security, stability and scalability. Thus, we like to think of our platform as being a catalyst for the transformation of enterprise IT to enable it to be more agile, without sacrificing the key centralised IT philosophy that has stood enterprises well since the web itself caused similar disruptions from the early 1990s onwards. So the opportunity that now presents itself is for FeedHenry to bring our valuable and hard-learned mobility end-to-end expertise, linked to our extensive enterprise Node.js experience, to Red Hat’s existing product portfolio, and for our team to integrate and learn from Red Hat, the world experts in open source software for the enterprise. To join the webcast on Friday Sept 19th 4pm GMT/11am EST. or view the replay after the event, visit https://vts.inxpo.com/Launch/Qreg.htm?ShowKey=21753.